If you are an up and coming independent knowledge professional or an old-timer at the INKNOP game, you have good reason to be creating, giving away and selling information products of various kinds. The new information product on the scene is the eBook. It used to be that you would write a book about something and invent yourself as the expert in your field. I’m not sure what percentage of independent knowledge professionals actually write traditional books, but it’s probably a significant chunk. It’s a bear to write a book though, especially one of any quality that would reflect well on you. Getting it published aint easy either. But, that problem just went away. We now have eBooks, eReaders like the Kindle for $79 and millions of iPads, iPhones and other smart phones that are hungry for content. 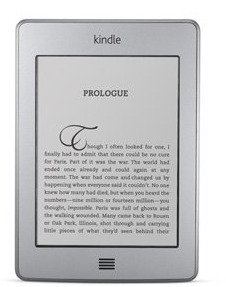 Almost overnight, there’s a rush of eReaders and Amazon is selling more eBooks than they are paper books. The times they are a changin’ and we are lucky to be here now to take advantage of this white hot phenomenon. I Bet You Have an eBook in You. If you are one of the vast numbers of people who think you might have a book in you, you certainly do. Right now, while ebooks are still in short supply and eBook readers are the rage, is the time to get your foot in the door. Books vs. eBooks. The key distinction between eBooks and Books is that (1) there’s no publisher gatekeeper at the door and (2) eBooks can be short as in the 10 to 50 pages you may have written in school! You already know how to write something of this length and no one is stopping you. You need to start writing and publishing them so that you can create a name for yourself, show people what you know and how you think about things. You might even make a couple nickels to rub together, but I’m not sure about that. You’ll have to be in the right place at the right time to do that – not impossible. I’m thinking of this ebook writing operation as a means to an end. It’s writing. It’s creating content. It’s creating programs. Knowledge that can then be delivered in lots of ways, some of them in person as consulting, training and other more expensive kinds of services. But, who am I to talk? I have created some little trial-run eBooks but am still learning how to create them. Meanwhile, the explosion of eReaders, eBooks continues and more and more people are getting comfortable reading digitally. I consider my blogging here at Independent Knowledge Professional a content development effort that is a precursor to some related eBooks. eBooks are Changing Right Now. The only thing holding me up so far is this jumbled stage we are in relative to eBook formats. 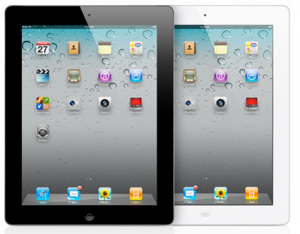 The ePub and Kindle formats are clearly of some importance with Amazon behind the Kindle format and Apple, Barnes and Noble and others using ePub. I’m not crazy about the options we have right now because ePub and Kindle formats are so primitive from an aesthetic point of view. There has to be a better way! PDFs at least give you a way to make a document look great if you know what size it needs to be. eBook Formats. 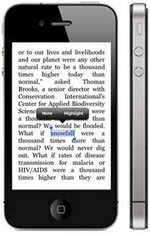 In some ways eBook formats make tons of sense as we read on our computers, our tablets and our phones interchangeably. 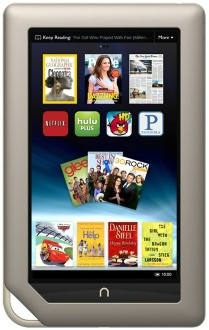 But Amazon has declared a new format for its Kindle Fire that bears little resemblance to the previous Kindle standard. I expect to see a rush of different formats and hopefully decent end-user formatting tools over the next year. DIY. As an INKNOP, I want to be able to format my own books just like I’ve been formatting letters and reports over the years. Why should I suddenly have a big learning curve hurdle and hassle to simply get a digital report called an eBook out the door? If you want a new career and identify as someone who likes to write, you could be one of the new experts in this eBook creation field. We need you now! I know lots of people who are ready to write something if the hassle of formatting the eBook and getting it into the Kindle store could be made to go away. The only warning here may be that when a decent end-user eBook creator tool shows up, INKNOPs may go back to DIY. The last thing you should be right now, though, is discouraged. We need to persevere and do eBooks, it’s just too logical for independent knowledge professionals to show off and trade on their specialized knowledge. The eBook can be of just about any length which means you can make one quick. If you aren’t attached to being in the Kindle store (something worth doing when you can), you can make PDFs today and give them away as an incentive to your prospective customers to sign up for your eNewsletter or subscribe to your blog. Just like blogging, writing eBooks is good writing practice and helps you clarify your thoughts. And, once written, these digital items can be repurposed and reconfigured as handouts for presentations or other eProducts. I work every week with another INKNOP, Mike Van Horn, on cracking this eBook world open so that it takes us both where we want to go on our way to INKNOP success. We explore this space, identify people with skills to help us and brainstorm to learn what we need to know. I’d like to add that there are all kinds of affordable resources out there to help you at all stages: getting your ideas out in the first place, editing, putting material into ebook format, creating covers and graphics, promoting your ebook via online media, etc. Thanks, Mike. You’ve been hiring some of those folks yourself and have been having success. You’ll have to blog about it in more detail on your blog. When you do, please add a comment here for my readers.